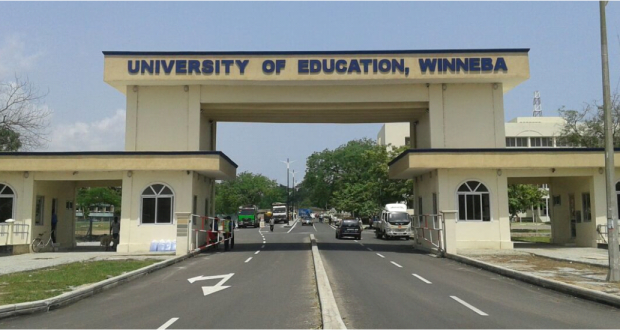 An order of interlocutory injunction has been issued against the University of Education, Winneba, restraining the supposed Principal Officers appointed by the defunct Governing Council from holding themselves out as officers, agents, assigns or lawful representatives of the University, until the final determination of the substantive application before the court. It would be recalled that few days ago, a writ was filed at the High Court, Winneba, by one Mr. Komla Onny, for and on behalf of the applicant, Mr. Supi Kofi Kwayera, that the continuation of members of the Governing Council in office is a direct breach of Section 8 Act 672. The writ was against the University of Education, Winneba, as the 1st Respondent, and the Minister of Education, Ministry of Education as 2nd Respondents respectively.However, a motion is expected to be moved on Tuesday 13th day of June, 2017 at 9.00 O’clock in the forenoon or soon thereafter by Komla Onny Esq. Counsel for and on behalf of the Applicant here humbly praying the Honourable Court for an Order of Interlocutory Injunction; restraining the 1st Respondent, its assigns, agents, officers and all other persons acting through the 1st Respondent or claiming to be the lawful representatives of the 1st Respondent from authorizing any payment to any contractor or supplier whose contract is the subject matter of the substantive application before the court. Again, the injunction is restraining the 2nd Respondent from recognizing any supposed Principal Officer or any person whose mandate as an officer of the 1st Respondent emanated from the defunct Governing Council as the lawful representative(s) of the 1st Respondent until the final determination of the substantive application. The injunction is also restraining the 1st Respondent and its lawful representatives from making any payment to Ghana Highway Authority or any third party entity including Larmas Construction (GH) Ltd in respect of the Memorandum of Understanding with Ghana Highway Authority for Road Maintenance until the final determination of the substantive application. According to the writ issued on 23rd May 2017, in November 2009, a Governing Council of the 1st Respondent was constituted. The said Council was to carry out its functions until its mandate lapsed after two years. However, the 2nd Respondent failed to constitute a new Governing Council for the 1st Respondent after the mandate of the said Governing Council had lapsed, but rather allowed and permitted the defunct Governing Council which had no mandate whatsoever to continue the functions of a properly constituted Governing Council as if same had been properly constituted. Even though the full two years mandate and the extension of the Governing Council has expired it is still in office awarding huge contracts disregarding procurement procedure to companies of their choice. The writ mentioned some of the contracts awarded by the Governing Council as Construction of University of Education (Winneba) GUSSS Commercial Centre, Construction of University of Education GUSSS Hostel at Ajumako campus, Construction of lectures office complex (Winneba campus), Construction of Distance Learning centre and Guest House in Accra and Construction of Distance Learning centre at Sogakope. The writ stated that the award of contract for the construction of GUSSS Hostel in Winneba at the cost 47,813,639.24 was done without due regard to processes and procedure as required by the Procurement Act. Again the applicant, Mr. Kwayera was of the view that the purchase of 8 pickups at the cost of GHc 800,000.00 by the 1st Respondent was without adhering to the procedure as stipulated in Procurement Act and its amendment. The Applicant Mr. Kwayera through his Counsel Komla Onny Esq. was seeking declaration that the extension of the mandate of the Governing Council of the 1st Respondent by the 2nd Respondent to stay in office to perform such functions as properly appointed council was in breach of Section 8 Act 672.